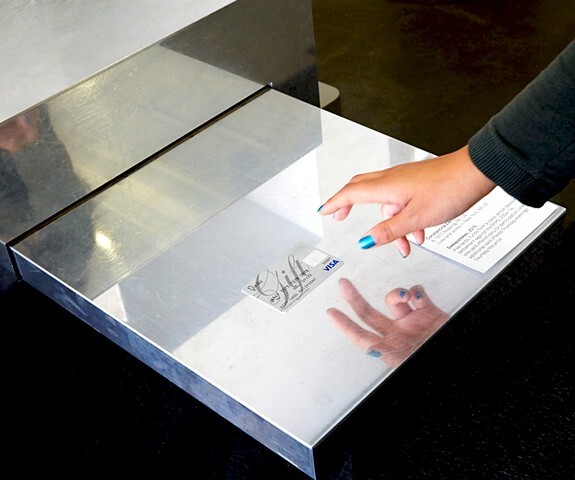 VISA cards loaded with funds from a class action lawsuit settlement against the NYPD, 2004-2014 (paid 2015); dimensions variable, installation on ADA access desk in the New Museum entrance lobby, May to September, 2015 One card was offered to the public daily in increments of $25, $50, $100, $500. An additional card was offered Thursday evenings for up to $1000. Take the money and run.